I work for ReCity, a network of mission-minded organizations brought together by the conviction that collaborative relationships lead to collective impact. One of the highlights of my work with ReCity is connecting with what our partner organizations are doing in the community. I have ongoing opportunities to meet and celebrate Durham residents through these partner organizations, to think about the ways that ReCity makes connections to better serve the people of Durham, and to witness how people love one another into more stable lives. Last week, I had the privilege of joining StepUp for their first Step2 graduation. I witnessed program participants, their family, co-partners, and StepUp staff gathered to celebrate one another and reflect on the community of support they built over the past several months. After a meal provided by Zweli’s Catering, a StepUp Employer, everyone gathered to share appreciation and encouragement—and cake! 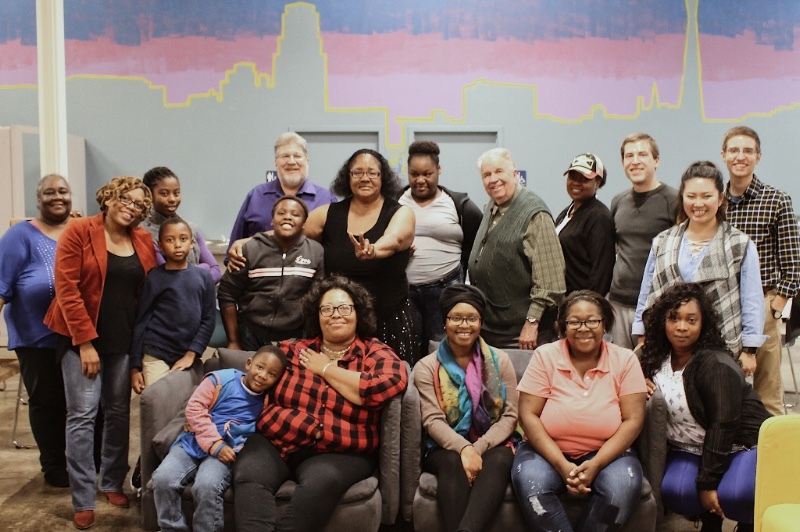 I saw community at its best that night—a community of support that lives StepUp’s mission to assist “people seeking to improve their lives and develop stable careers” and ReCity’s mission to collaboratively rewrite the story of our city. Keep celebrating and loving the people of Durham, StepUp!